Barbs and Backlashes | A look inside of Daryl Bauer's mind. The migration of our Nebraska Game & Parks Commission blogs has been completed. There are still some things to figure out, but we are up and running. You can continue to follow my blog here, http://outdoornebraska.ne.gov/blogs/category/barbs-and-backlashes// , note the new web address. I have posted a couple of new posts this week including a recent fishing/trip report; check it out. The Nebraska Game and Parks blogs will be migrating to a new and improved platform. We know our subscribers will enjoy the new look and enhanced functionality. All of our blogs will be moved into one great online news magazine called NEBRASKAlandmagazine.com. In order to make this transition, we need to delay our posts and your comments for a few days. We will not be posting articles or able to post your comments between Oct. 13-20. You can still access all of our blogs from their respective blog names or you can simply bookmark NEBRASKAlandmagazine.com and find them there. We value your blog comments and appreciate your holding any comments until our new site is live. Thanks for your patience. We’ll be back in touch in about a week. I was just informed that there is going to be some administrative work on my and everyone else’s blogs here at the Game & Parks Commission. Later today you will see an official notice posted here. Basically, all of our blogs will be migrating to a new server. What that is going to mean is I will not be making any blog posts until the middle of next week sometime. Do not worry, I will be back, I have a list of blog topics to write about; I never seem to run out of things to talk about. I WILL be on the water between now and then and I have lots of fall fishing to talk about already. I will leave you with a couple of pretty pictures. See you next week! Here’s a blog post “just for fun”. You have to meet the “Bassador”. “Take me Fishing”, http://www.takemefishing.org/ , has a new promotion to encourage folks to go fishing and more importantly to introduce others to fishing. 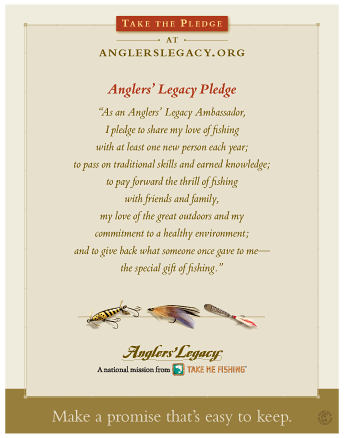 I would highly recommend that you go to their website and take the Angler’s Legacy Pledge, http://www.takemefishing.org/community/anglers-legacy/take-the-pledge/promo/BASSADOR . If you do that, you will be entered in their sweepstakes. Still did not talk you into it? OK, then I am turning the Bassador loose on you. You have been warned! You can learn more about the bassador here, http://www.takemefishing.org/community/anglers-legacy/bassador/Who-is-Bassador . And you can hear more of his trash-talking here, http://www.takemefishing.org/community/anglers-legacy/bassador . If you do not take the Angler’s Legacy pledge, he wins! Don’t let that happen! Here is the thing about having a blog; every once in a while I see or read something that absolutely fires me up. It just happened again this morning. With the blog I can immediately “vent” and in doing so hopefully convey a very important message. Here goes . . . This is a picture that was posted on the Nebraska Fish and Game Association’s Fishing forum this morning, http://www.nefga.org/forum/forum.php . The picture is a little blurry and it may not be apparent what is going on there, so let me explain and you will see why this absolutely fries me. What you see is someone using a cast net. Cast nets can legally be used on a few Nebraska reservoirs during July through November. You can see all the baitfish regulations and especially cast net regulations in the 2010 Fishing Guide, http://outdoornebraska.ne.gov/Fishing/guides/fishguide/pdf/FishGuide.pdf . The violator pictured above is NOT on one of the waters where cast nets can be used. That picture was taken below Gavins Point Dam. I will bet you a box full of crankbaits that genius pictured above would not know a small, young-of-the-year bighead or silver carp if you smacked him in the forehead with one. All of the fish in that cast net probably look like bait to him. So, he collects a bucket full of bait below Gavins Point Dam, uses that bait who knows where, and when he is done fishing dumps his bait bucket in the water where he was fishing. Next thing you know we have Asian carp in a bunch more waters where we do not want them. We have tried to keep baitfish regulations that allow folks to collect their own bait while preventing the spread of invasive species and diseases. All of that works ONLY if anglers are responsible and know and follow the regulations. When I see a picture like the one above I wonder if we should not just outlaw all collection of baitfish for personal use? So here is my plea. In today’s world most folks have cell phones with them even when they are fishing. If you see a violation, AND ESPECIALLY IF YOU SEE SOMEONE USING A CAST NET BELOW GAVINS POINT DAM, grab the cell phone and make a call! The Wildlife Crimestoppers number is 800-742-7627. Phone numbers for every conservation officer in the state are listed in the 2010 Fishing Guide I linked to above. Find the phone number for the local conservation officer and call it. Keep calling it. If you cannot reach that conservation officer call the regional supervisor. Keep calling. If you cannot reach the regional supervisor, call the law enforcement administrators in the Lincoln office. Keep calling. Call the local Sheriffs office and they can contact a conservation officer. Keep calling. We do not have a lot of conservation officers in the state and they very much rely on responsible outdoors people to be their eyes and ears in the field. If you see violations, call them and keep calling them! By the way, I have called conservation officers a few times myself about folks illegally using cast nets. I believe in every case someone ended up receiving a ticket and losing their cast net. A fish pox on everyone that transfers fish from one body of water into another public body of water! I believe that most have heard about the Carter Lake rotenone renovation already. I just want to give a little update on that project. 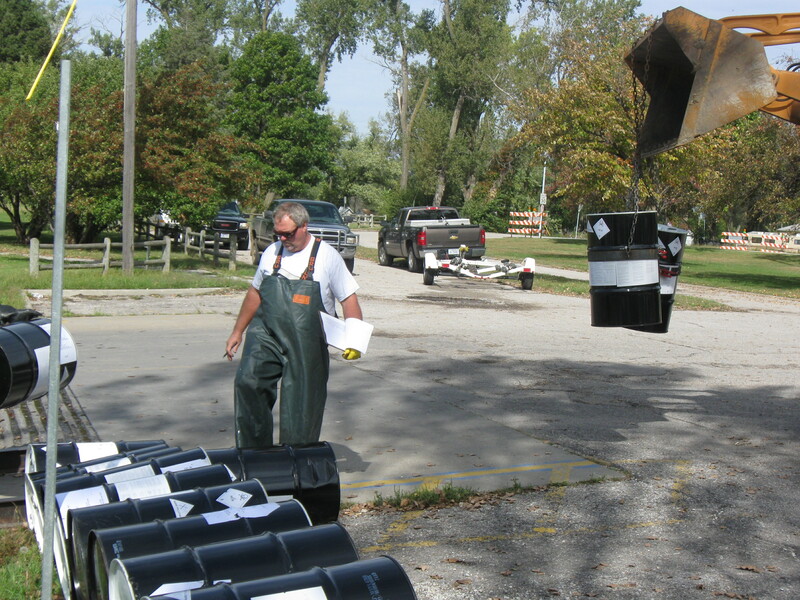 84 barrels of rotenone were needed to treat Carter Lake. Carter Lake is a border water on the east edge of Omaha. Over the years this oxbow lake has suffered from poor water quality. The primary goal of all of the work being done at Carter Lake right now is to improve water quality. Of course better quality water will also result in better fishing, and Carter Lake is located where there are a lot of potential anglers living close by. The aquatic habitat rehabilitation project at Carter Lake is a major project involving two different states, two different cities, numerous government agencies. The planning process for this project has literally taken years and has given the public as much opportunity for input and education as possible. You can read the water quality management plan that was developed from that whole process here, http://watershed.iowadnr.gov/files/carterlakewmp.pdf . In spite of all the public involvement and planning I have heard some complaining and “sniping” about the project since the rotenone was applied. For example, you can read some of that here, http://wildbirdsbroadcasting.blogspot.com/2010/10/birds-not-considered-in-carter-lake.html . I guess there were even some dead fish dumped at the Carter Lake City Hall in some form of “protest”, http://cid-7a9be73553443a27.spaces.live.com/ . Before the rotenone was applied at Carter Lake, there were numerous levels of review done by several entities. Those reviews and approvals considered the impacts to all parts of the Carter Lake ecosystem including birds and other wildlife. We have been told in that review process that rotenone renovations in the late summer or fall are better for birds because at that time of year birds are migrating or can at least move to another food source if they had been utilizing fish from a water that was chemically renovated. If a rotenone renovation was done in the spring or early summer, there could be young birds dependent on that food source that could not pick up and move to another food source. With improved water quality at Carter Lake, all fish and wildlife, including birds, will benefit. I have said this before about aquatic rehabilitation and chemical renovation projects–there will be some short term sacrifice for long term gain. We typically do not pick up dead fish following a rotenone renovation. There is no waste in nature and at the least the fish that die from a rotenone renovation will decay and be recycled back into the ecosystem. But, there is no doubt that a pile of dead fish stink, and if that is a concern, there are times when the dead fish will be picked up following a rotenone renovation. 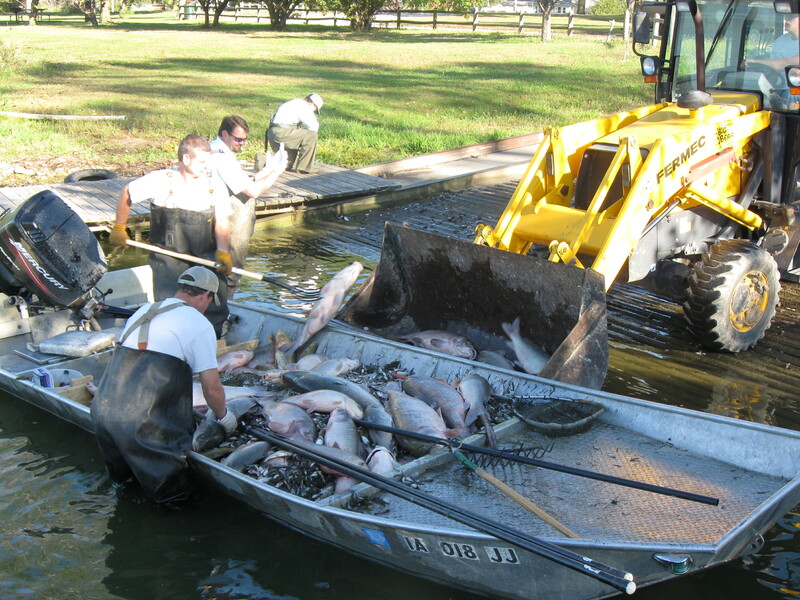 Fisheries crews from Iowa and Nebraska picked up dead fish in the days following the rotenone renovation at Carter Lake. 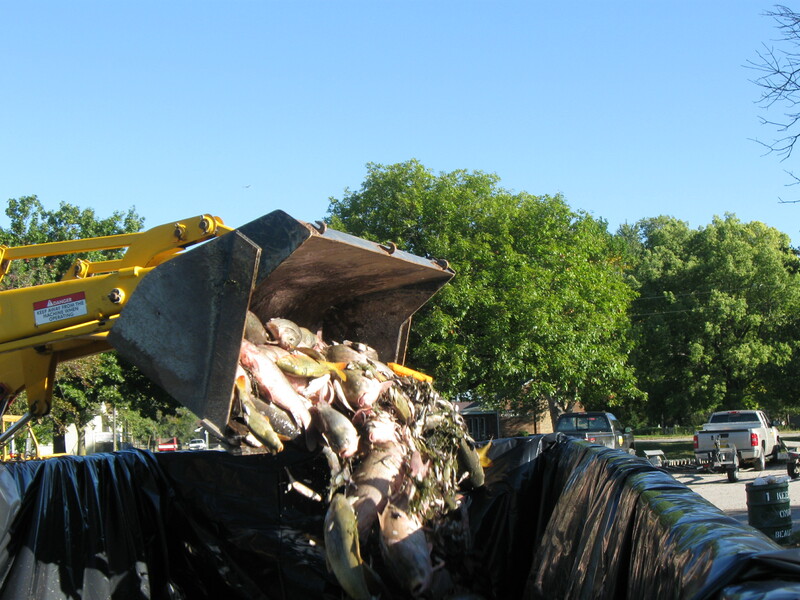 There were 88 tons of dead fish picked up at Carter Lake; that works out to 500 pounds of fish, almost entirely carp and buffalo, per acre of water. Apparently, there were very few sport fish left in Carter Lake after last winter as very few were seen when the rotenone was applied. Anyone want to volunteer to let us use their boat to pick up dead fish? 88 tons of dead fish, mostly rough fish, were hauled away. There is still a lot of work to be done to improve the water quality of Carter Lake, but the project if well under way! Restocking of fish will start yet this fall, and I am betting the fishery at Carter Lake will be better than ever in just a few years! Water temperatures around the state are cooling down and that means the catchable-size (approximately 10 inches) rainbow trout can be stocked in a number of waters that can only support trout during the fall, winter and early spring. Here are some news releases on the scheduled stockings. LINCOLN, Neb. – Rainbow trout have been stocked in some southwest Nebraska waters to provide excellent fall fishing opportunities, according to the Nebraska Game and Parks Commission. The stocked trout are approximately 10 inches in length. On Sept. 29, Birdwood Wildlife Management Area at North Platte received 2,304 trout and Rock Creek Lake State Recreation Area near Parks received 2,280. On Sept. 30, Humphrey Pond in Ogallala (1,800 trout), Barnett Park in McCook (1,000), Curtis Golf Course Pond (450), Arnold City Park Pond (850), and Bessey Pond (200) near Halsey were stocked. (I know personally that those fish were stocked at the Bessey Fish Pond last Thursday; I ran into Hal Walker from our Rock Creek State Fish Hatchery just after he had stocked those fish). LINCOLN, Neb. – The Nebraska Game and Parks Commission has released a tentative schedule for October rainbow trout stocking in the eastern half of the state. 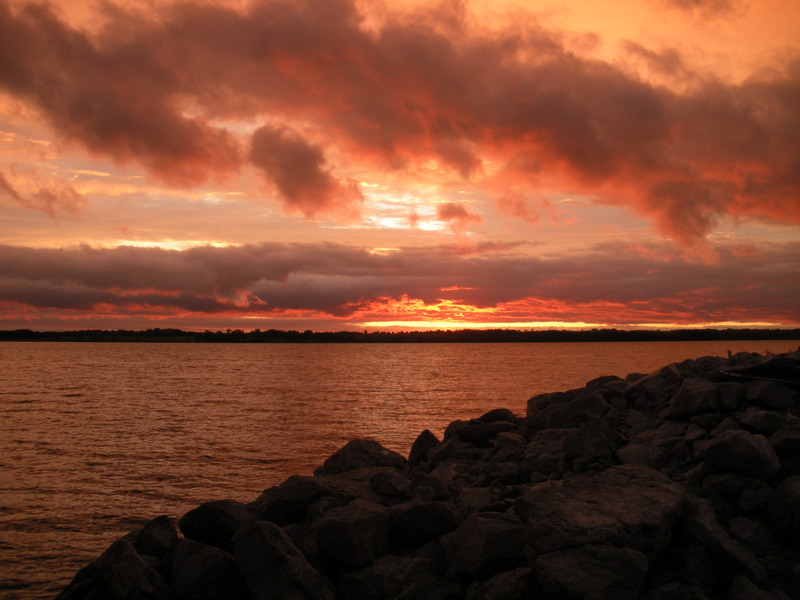 Sept. 29 – Crystal Cove Lake, South Sioux City, 4,250. Week of Oct. 4 – Niobrara State Park (SP), 1,000; Qwest Lake, Eugene T. Mahoney SP, 2,500; Fremont Lake No. 2, 5,000; TaHaZouka Park, Norfolk, 1,500. Oct. 9 – Holmes Lake, Lincoln, 4,000; Bowling Lake, Lincoln, 400. Week of Oct. 12 – Standing Bear Lake, Omaha, 4,000; Auble Pond, Ord, 1,500; Weeping Water Pond, 1,500; Lake Halleck, Papillion, 1,200; David City Park West Pond, 600; Pawnee Park West Pond, Columbus, 1,500. 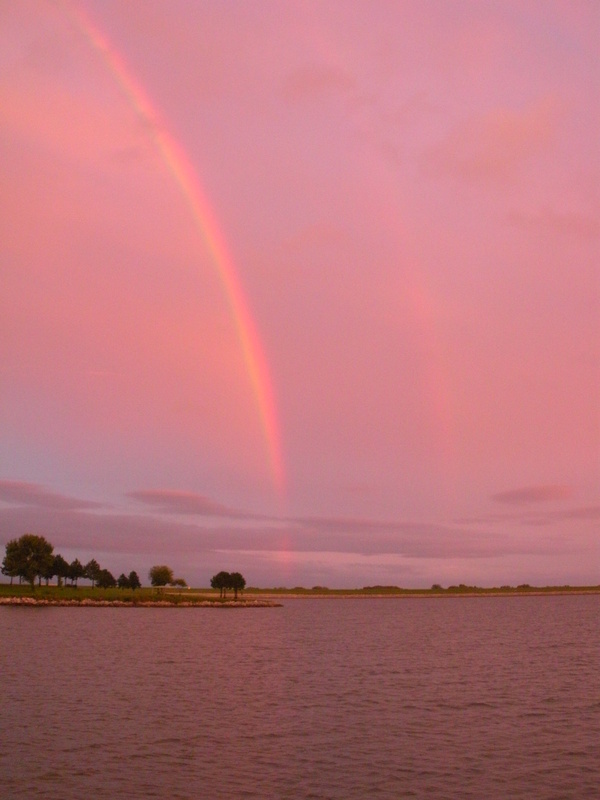 Week of Oct. 18 – Towl Park Pond, Omaha, 300; Hitchcock Park Pond, Omaha, 450; Steinhart Park Pond, Nebraska City, 1,200; Auburn Rotary Club Lake, 1,400; Heartwell Park Lake, Hastings, 900; Such’s Lake, Grand Island, 1,300; Standing Bear Lake, Omaha, 3,500. 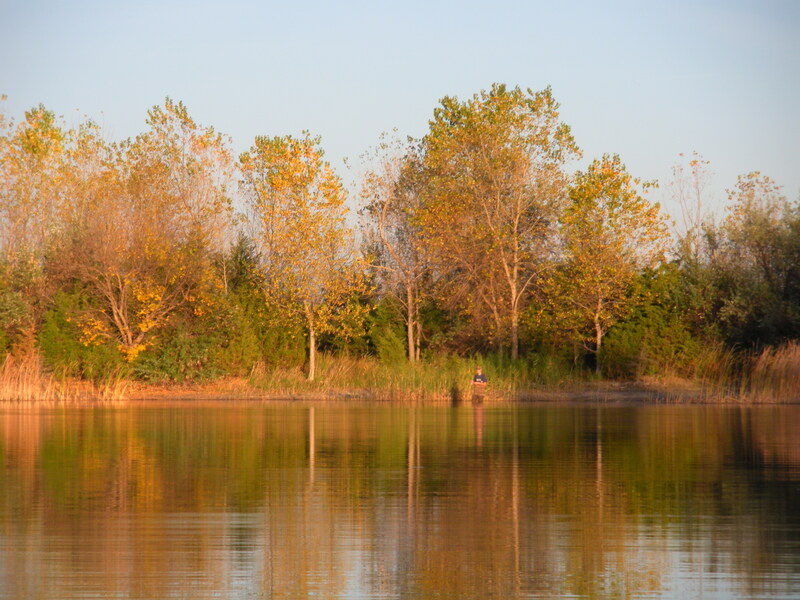 Week of Oct. 25 – Benson Park Pond, Omaha, 1,050; Grove Lake, Royal, 1,500. 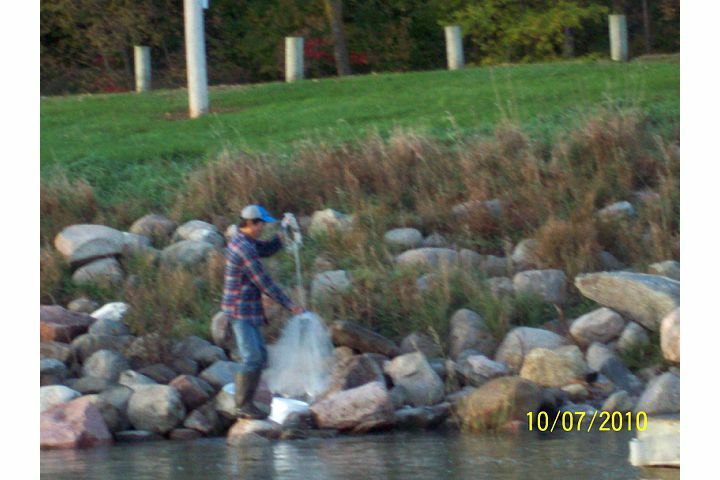 Elm Creek just east of Red Cloud was also stocked yesterday, October 5, as well as Qwest Lake at Mahoney State Park. There are some fishing tips for these hatchery-reared, put & take rainbow trout in this previous blog post, https://barbsandbacklashes.wordpress.com/2010/03/23/spring-trout-stockings/ . We do NOT stock these catchable trout so folks can fill their freezers. Yes, we expect and want these fish to be harvested, but the real reason we stock these fish in heavily-used urban and parks waters is so beginners have a chance to catch some fish. These trout are usually relatively easy to catch even as the waters cool and other species begin to slow down. So, there is the list, grab a kid and take ’em fishing!